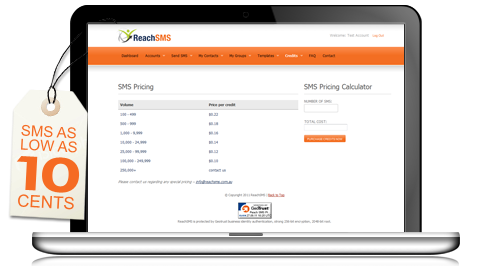 SMS as low as 10 cents each and no setup costs! Contact us today for a great deal! Feature-rich, web-based admin portal. 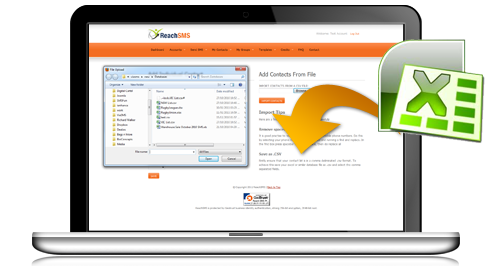 Easy access to reporting, user administration, contacts and message templates. Competitive pricing for both business and personal users. Secure online payments anytime via web based administration area. 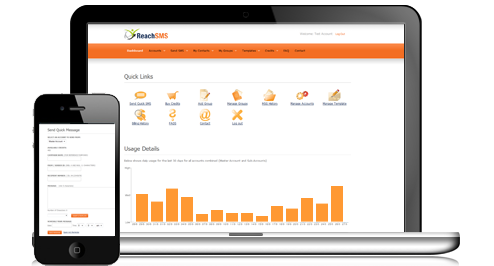 ReachSMS is suitable for a range of solutions, Push Notifications, Appointment Reminders and Customer Marketing. Copyright © 2010 ReachSMS. All rights reserved.